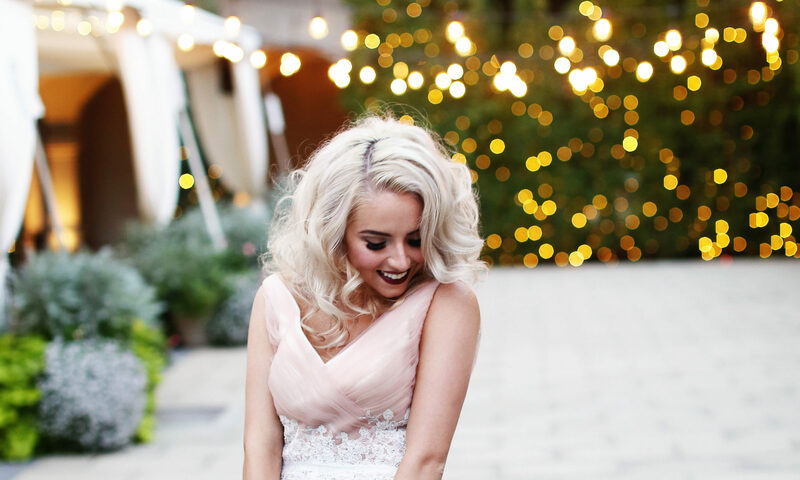 Meet our Bitsy Bride, Katina. Our stunning bride Katina wore an equally stunning gown by Nouvelle Amsale. This line is made with the same craftsmanship as the Amsale collection, but will allow you and your wedding budget to say “yes” to that floral arch or dessert bar. Myka is constructed of a crepe material that creates beautiful and clean lines down the fit to flare skirt. The sheer lace bodice compliments the sweetheart neckline and adds a touch of romance to this timeless gown. Similarly, the matching lace appliqué on the train makes us swoon. 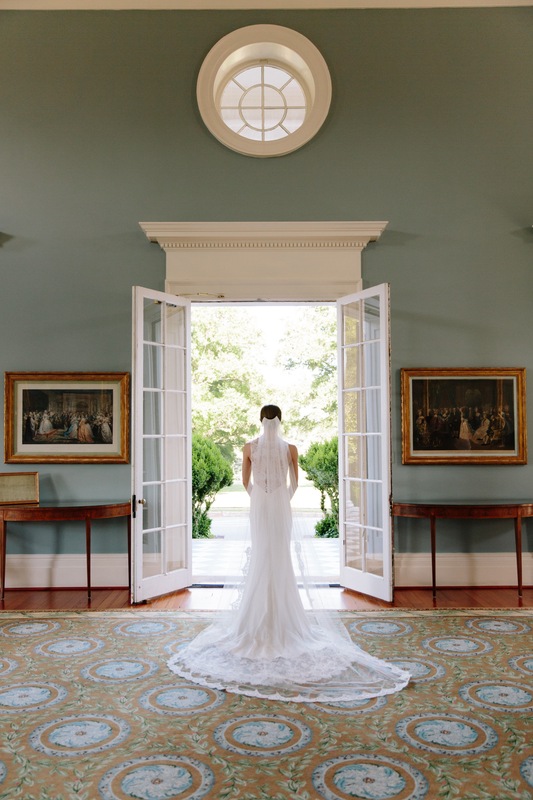 Katina turned this show-stopper into an East Coast dream in her Virginian venue. All phots by Meg Perdue. Schedule an appointment to see this gown, in addition to the rest of our Nouvelle Amsale collection.